Singapore is an unlikely candidate in an international marmalade contest. Jams and marmalades are most associated with the English, who enjoy them spread on toast, which is eaten together with a cup of tea. Yet, in 2017, Singapore’s very own Straits Preserves clinched the Gold Medal in the Artisan Awards category at the World’s Original Marmalade Awards & Festival, held in Cumbria in the United Kingdom. The winning entry was Ginger Garden, concocted by Straits Preserves founder Sharon Lee. Ginger Garden is a vibrant formula made up of ginger, turmeric, cardamom, lime and grapefruit. Lee describes it as a marmalade that “delivers wonderfully fragrant notes with a gently warming finish”. It was inspired by a walk in the Singapore Botanic Gardens’ Ginger Garden. The Singapore Botanic Gardens collaborated with Lee on the product – its one-hectare Ginger Garden houses several hundred species of plants from the ginger family. Straits Preserves was up against some stiff competition; the 2017 awards featured 3,000 entries from more than 30 countries. Now in its 13th year, the competition has helped to confirm Cumbria’s reputation as the heart of the marmalade-making world. “The awards gave us credibility and recognition in the international arena (since we are the first producer of tropical marmalades with our own recipes and unique tastes) and assurance that our flavours are acceptable to a variety of audience – local and overseas. Customers feel confident that they are purchasing a quality product,” said Lee, who formerly owned a product innovation company. But Ginger Garden wasn’t the only Straits Preserves product to shine at the competition. Its Singapore Sling, inspired by the world famous cocktail, and Spice Island marmalades both won silver awards at the World’s Original Marmalade Awards in 2017. Spice Island was also a two-star award winner at the Great Taste Award, considered the “Oscars” of the food world. The Great Taste Award is organised every year by the Guild of Fine Food, an organisation for artisan food and drink makers based in the United Kingdom. Marmalade is traditionally made by boiling Seville oranges until they are soft, after which they are sliced finely and combined with sugar, then boiled again.The marmalade is then left to set and thicken. It is often confused with jam, but the process is different: when making jam, the fruit and the sugar are boiled together first before the setting process. “Jam makes use of what I call soft fruit, such as strawberry, blueberry and apricot. Marmalades use citrus fruit and require a different preparation and a somewhat different method of cooking in order to extract the flavours from the ingredients,” said Lee. Legend has it that modern marmalade was first conceived in Scotland in the 18th century, when a Spanish ship carrying Seville oranges docked in Dundee, Scotland, to take refuge from a storm. A Dundee grocer named James Keiller bought the oranges to try. He discovered that the Seville oranges were too bitter to be eaten on their own, so that was when his wife decided to boil them with sugar to soften the strong taste. The name “marmalade” was derived from the word Marmelo, which is the Portuguese word for quince, a fruit from the Rosacae family which also gave us apples and pears. By substituting quinces with Seville oranges, Keiller made what was known as the first commercial marmalade. It was then sold all across Great Britain, under the much-loved brand James Keiller & Son. Marmalade’s popularity among the younger crowd has waned somewhat as a result of the wide variety of breakfast choices available these days. But Lee is optimistic about the prospects of a marmalade comeback. Her tropical marmalades are a hit among young working adults, who are familiar with artisan foods and are more willing to experiment with something different, she said. Indeed, there are many new and unusual flavours of marmalade. Marmalade is no longer made from just Seville Oranges. The World’s Original Marmalade Awards saw many creative entries in recent years, using ingredients such as lemongrass, beetroot and even chocolate. 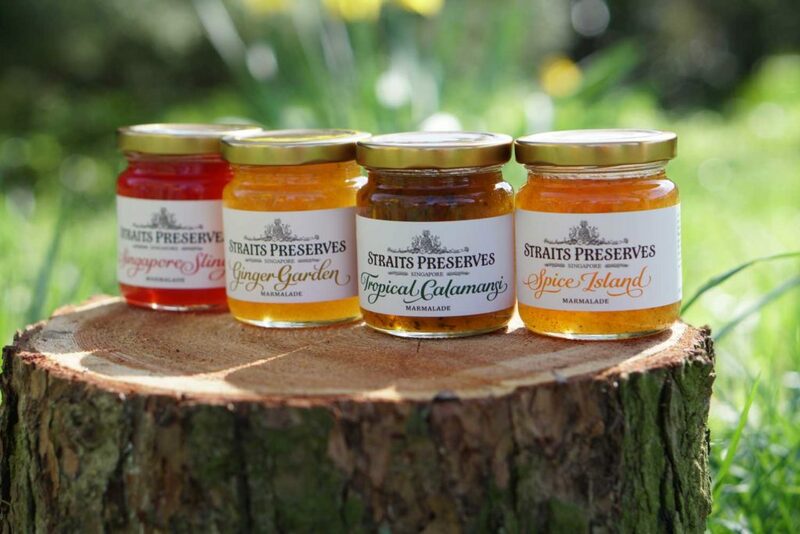 Straits Preserves now makes four products, with Lee looking to add more flavours in future. The Singapore Sling, a crowd favourite, is made up of orange, pineapple, lime, lemon and natural cherry flavour. Spice Island is inspired by Singapore’s colonial history and its links to the spice trade. It is described as a mellow marmalade with a complex set of spice notes, and comprises pineapple, lime, orange and five types of spice. Straits Preserves was born in 2011, out of what Lee describes as a “happy accident”. Her first product, the Tropical Calamansi, was made right at home from a calamansi plant on her balcony. 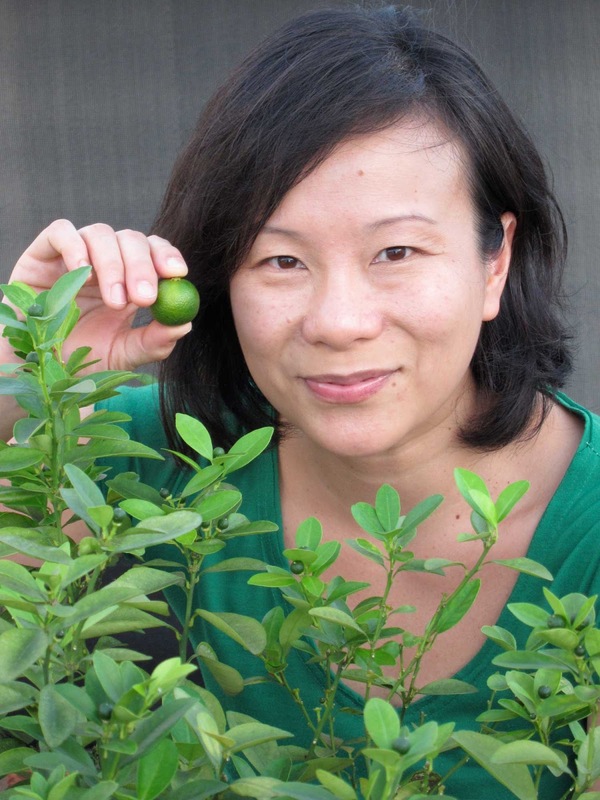 “When I had an abundance of calamansi growing, the idea of making marmalade came up. The flavours of the Tropical Calamansi are made using ingredients that are very familiar to me but they have not been used in a marmalade before. I thought it would be interesting to try,” she said. Initial concerns that her overseas customers might find the marmalade “too exotic” were misplaced. After some refinements to the recipe, Tropical Calamansi won The World’s Best International Marmalade at 2012’s World’s Original Marmalade Awards. The strong flavours of the calamansi are countered with sweet pineapple. The unexpected success motivated her to make more preserves using local ingredients. Marmalade must be stored in a cool and dark place before opening, said Lee. It must be stored in the refrigerator after opening, although it does not have to be served cold. Lee highly recommends warmed marmalade on buttered toast. Marmalade can also be used in a range of ways – it doesn’t have to only be spread on toast, she said. “Due to its fresh and bright citrusy notes, marmalade can be used as a fruity sweetener in tea and as a base for a natural soft drink. It can also be used as a savoury dip or as a glaze on roasts. It can be served with cheese or used in pastry or desserts to accentuate various flavours,” she said. “Besides regularly using them on morning toasts and croissants, I enjoy roast meat with Ginger Garden marmalade. It adds warmth and sweetness to balance the savoury meat taste,” said Lee. You can also sweeten vinaigrette with marmalade by shaking it in an empty marmalade jar, she added. Straits Preserves makes and bottles its marmalade in a special facility. Each 220-gram jar retails for SG$15, and is available at a variety of stockists, including Redmart, Tangs and Naiise. As most of Lee’s customers are tourists, her products are also sold at tourist attractions such as Gardens By the Bay, The Singapore Botanic Gardens’ Gardens Shop, Shangri-La Hotel and the Grand Hyatt Hotel.